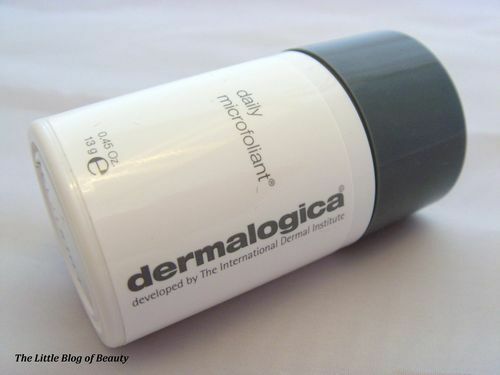 I received a sample of Dermalogica’s Daily Microfoliant I think in my November Glossybox. I haven’t blogged about this yet but thought as I have just finished the sample it was about time that I did. When I first opened this I was taken by surprise because I have never seen a product that comes in the form of a powder. 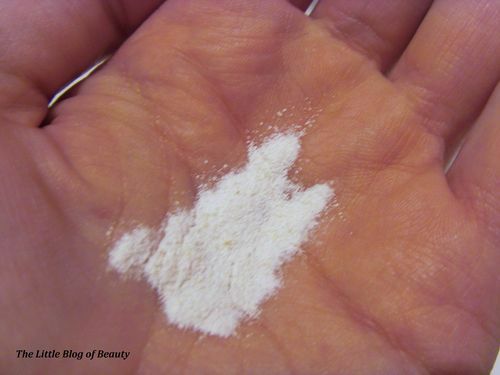 This is a rice-based powder that activates when mixed with water to release Papain, Salicylic Acid and Rice Enzymes which provide exfoliation. 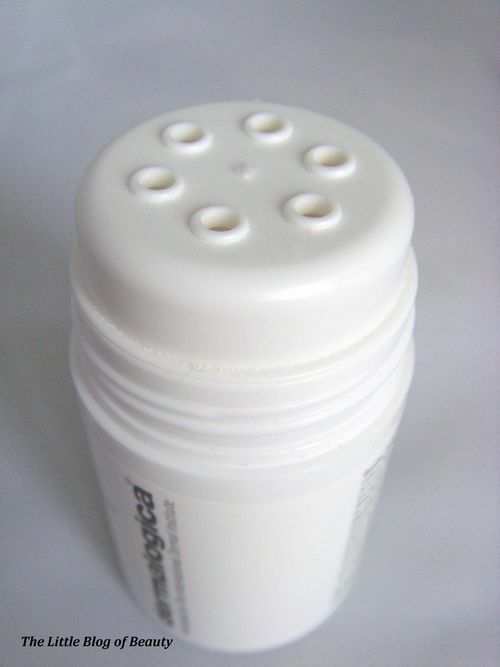 The powder does not contain artificial fragrances or colours. To use this you just add around half a teaspoon to very wet hands and rub your hands together to create a creamy paste. You then apply this to your face in circular motions, avoiding your eye area, massage gently for one minute and then rinse away. The micro-particles in this make this a very gentle exfoliator which could definitely be used daily. After using this my skin feels clean and smooth and only very minimally dried out, which for my skin is very good especially in winter when it becomes really difficult to try and keep moisture in my skin. To begin with I used this every day but as we got further into winter I did reduce this to a few times a week. As I have said I have not used this every day since I received it but I have been very impressed with how long this sample has lasted. The sample contained just 13g whereas the full sized product contains 75g so this will probably last forever (or at least for a long time!). This was my first Dermalogica product and I have to say I am very impressed and would definitely try more of their products in the future. You can buy Daily Microfoliant from the Dermalogica website for £38.50. You can also buy this from sites such as Look Fantastic (usually for slightly less). Its seems good. Did you ever buyed it from online? If you know anything better that will gives me the same result like dermalogica Daily Microfoliant at lower price please refer it.